Shape some creativity into playtime. 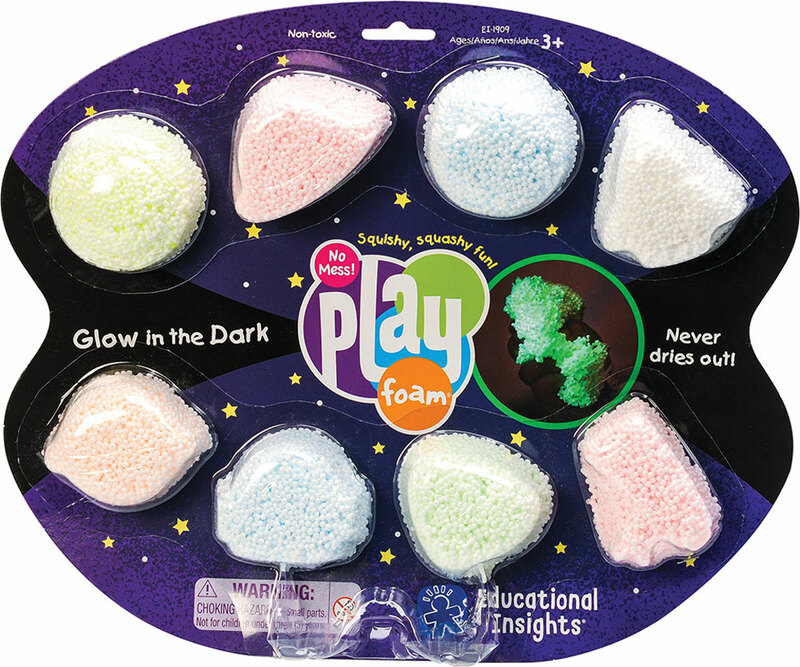 Little sculptors will love the glow of all of the non-toxic colors in this 8-pack. The foam won't stick, make a mess, dry out or lose its squishy, squashy appeal. For ages 3-12 yrs, from Educational Insights.